A few highlights of this past month as seen on Instagram which serves as my unofficial food diary and love letter to NYC. I definitely get out more during the summer. Where has the year gone? I can't believe it's August already. For more, click on over to Instagram and do follow if you like what you see. The Statue of Liberty looking majestic as ever! I thought this was an appropriate photo for Independence Day! Check out my view of the fireworks! My husband and I go out on dinner dates at least once a week and Beron Beron in the East Village is one of our favorite spots because we've been going there since we were dating when they were still Sapporo East. We always order the salmon teriyaki bento box and hamachi-don. There are certain pockets in the city that look like they could be somewhere else and this corner in Tribeca is one of them. The hot weather hasn't deterred us from having hot pot. It's just as good with air conditioning. So excited there's a Little Sheep Mongolian Hotpot so close to home now. The redone Chelsea outpost of Barney's New York is fabulous. Just look at this stunning staircase! I ordered this Soko to Tokyo Value Set for $25 when it was back in stock at Sephora. See the items I chose and get more details. Manhattanhenge occurs twice a year when the setting sun aligns with the east to west streets of the main street grid of New York City. I wasn't able to get to midtown but it still looked pretty cool from Houston Street. We've been frequenting Smorgasburg at the South Street Seaport since it's a short walk from our apt. The buffalo wings from Home Frite are so tasty. These tacos and this baja crispy fish burrito are also really good! Checking out the Staten Island Yankees on Star Wars Night. They won the game 2-0. Sharing one of my current favorite lippies on National Lipstick Day and it's only $9.99! Brilliant sunsets like this are such a treat during the summer. One of the great things about living in NYC is all the amazing food delivery services that are available. I like to make use of them when it's too hot to cook. The chirashi from Munchery is both delicious and beautiful! 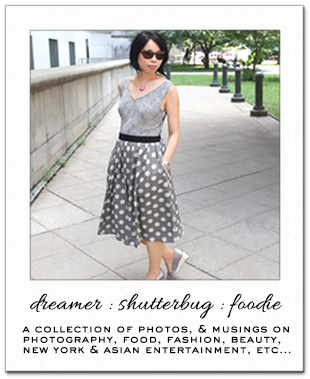 A lot of lovely pics, great job Rowena! You always have the best food! Here in Switzerland food delivery unfortunately isn't really a thing. Pretty shots love how it flows. The extent of food delivery services in cities certainly can be impressive! I've always loved your Instagram, your shot of the Statue of Liberty is so impressive! Have a good week, dear Rowena!!! 1. The statue of liberary is always lovely to see! 2. I'm not families with these two dishes, but if I ever see them on any menu, I will order them for sure because this photo looks divine!!!!! 3. This particular street makes me think about Paris...something about that clock! 4. Actually, I believe it is healthy to see hot dishes when the temperatures are high because it helps us to cool down (makes us sweat more but that's healthy...) This hot pot looks yummy!!!! 5. This staircase is breathtaking...like stairway to heaven. 8. I didn't have a clue that there was such a thing as Manhattenhedge, but it sure looks stunning. You captured it perfectly. Such a great sun shot! 9. looks a bit too spicy for me, but I bet it is really tasty. 10. It must have been fun to see this game! 11. This pink sunset is so gorgeous. I agree that such summer sunsets are a dream! Great photos dear. I always love reading your love letter to NYC, any shape and form:) You do a great job of presenting NYC, both on your blog and instagram. The food from this post looks so yummy...I'm clueless when it comes to food photography, to be frank it seems very challanging....some dishes are harder to photographs than others, but you always manage to make everything look so tasty and visually appealing. You certainly opened my appetite! That staircase at Barney's is just freaking awesome! I want that for our house...hehe...and seriously, Rowena, all your food pics make me hungry...nomnom. I always long for New York and some good sushi after seeing your Instagram, lol! I told Kim we all have to go eat somewhere if we're ever in NYC at the same time. Oh how I'd love to shop at the new Barney's! I also have such fond memories of the Seaport since I was a regular there during my teenage years. Lately I have been longing to go back to NYC. Your photos convince me even more that I should book a ticket soon. Wishing my Instagram had YOUR food shots! Love the post! Ah yes I saw Manhattanhenge once it was pretty cool. Beautiful photos!! I love the sunset photo! It's definitely an advantage to live in New York and have at your disposal many services and restaurants, the food is delicious! Kisses. Hi Rowena, this selection is so cute. After Misaeng and Signal, I'm having a hard time trying to find a good show to watch now:P It's hard to match those two! I understand now why you're so picky after seeing quality shows like them. I thought I'd take a longer break from rom-coms and started watching Healer but it's not holding my interest as much. I'll persevere for now because of Ji Chang Wook...hehe... He kinda reminds me of SJK a bit. I wish he was the lead in W...that would've been freaking awesome! I'll give Kill Me, Heal Me a go as well coz I heard that's pretty good. I think it is so cute that you and your hubby go out to eat (date night) once a week Rowena! I think you two are the cutest couple! He is definitely the definition of a man. The culinary offerings NYC has is amazing. So much to choose from! I love the color of that lip stain! I never heard it is called Manhattanhenge, that is amazing. 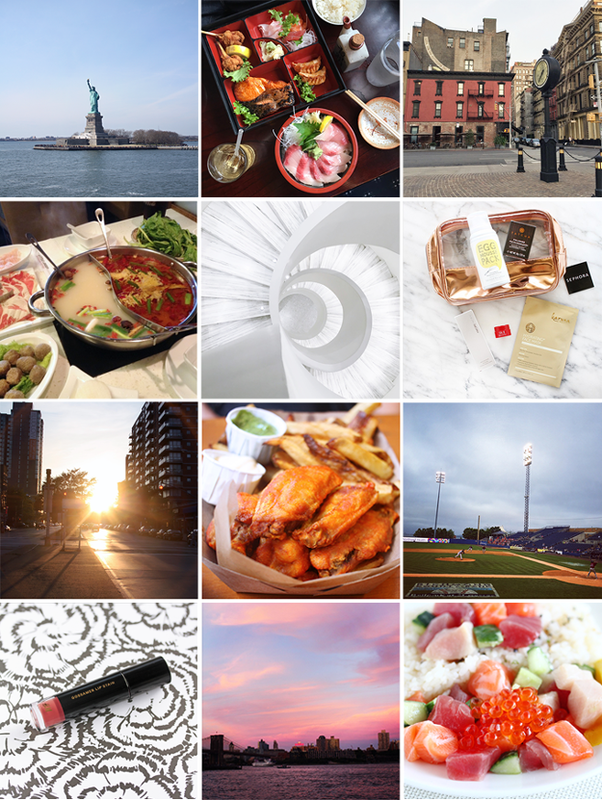 My Insta is basically a food diary and love letter to NYC too! Hehehe I love that pink sunset shot. I've always wanted to visit the Statue of Liberty! The sunset photo is gorgeous! I love looking at sunsets in the Summertime!